There’s no time like the present to talk with your loved ones about how you can best prepare for the big transitions that can come with aging. 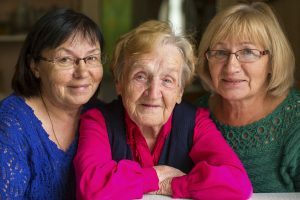 While we all hope to have easy senior years in relatively good health, and while it can be a challenge to discuss the alternative, planning ahead for a physical or mental decline can simplify difficult decisions down the road. A will stipulates what should be done with assets like any remaining money, real estate, vehicles, jewelry, or other assets. However, measures like power of attorney, living trusts, and conservatorships can also be an important part of elder care and estate planning. Whether you or a loved one has already moved into a retirement community, or is looking into doing so in the future, it’s not too late to make legal arrangements for what should be done in case of dementia, Alzheimer’s, or severe disability. Setting up a trusted family member or professional as power of attorney ensures you will have an advocate who will do his or her best to carry out your wishes and handle your financial, medical, and legal needs in accordance with your wishes. Another possibility is a living trust. As attorney Martin Pierce explains, “a living trust can be easier for your dependents and heirs to benefit from as there is no requirement that your estate go through probate first.” Probate is the legal process by which a court determines that a will is valid, the value of the assets described in the will, and that those assets have been distributed to the heirs correctly. A revocable living trust avoids probate because the assets technically don’t go to individual recipients, but to the trust itself. That can speed up and simplify proceedings after death, and it can also keep the details of the will private. The probate process is a matter of public record. But what about other concerns beyond the material? There are other legal tools you can use to ensure your family knows exactly how to handle medical decisions on your behalf should you become incapacitated. DNRs, short for Do Not Resuscitate, are one legally binding document that a doctor can provide for you to sign that stipulates what lengths caregivers should go in prolonging your life. Advanced Directives allow for you to lay out your wishes on a broader variety of medical matters, and can reduce stress for loved ones who may be suddenly responsible for making major decisions about your care should you become permanently unconscious, suffer severe memory loss, or suffer from terminal illness. In cases where someone becomes profoundly disabled, a conservatorship can be put in place to help manage that person’s affairs. Not to be confused with durable power of attorney, a conservatorship requires a court to verify that the beneficiary is unable to administer his or her own finances, medical decisions, and legal matters. One the conservatorship is set up, one legal guardian then makes decisions on behalf of the beneficiary. Once a year, the conservator has to check in with the court and provide something called an accounting, which is an itemized list of receipts and expenditures made by the conservator for the beneficiary. That adds additional oversight that protects the beneficiary. All of these options have different implications for taxation, estate planning, and long-term medical care. An experienced lawyer can help you decide which tools would best suit your precise circumstances and how you can start making the necessary arrangements. By deciding well ahead of time how you would like to handle your affairs, you can avoid putting hard choices on your grieving relatives. You can also enjoy greater peace of mind as you settle into a retirement home and your golden years, knowing that you and yours are provided for and know what to expect.